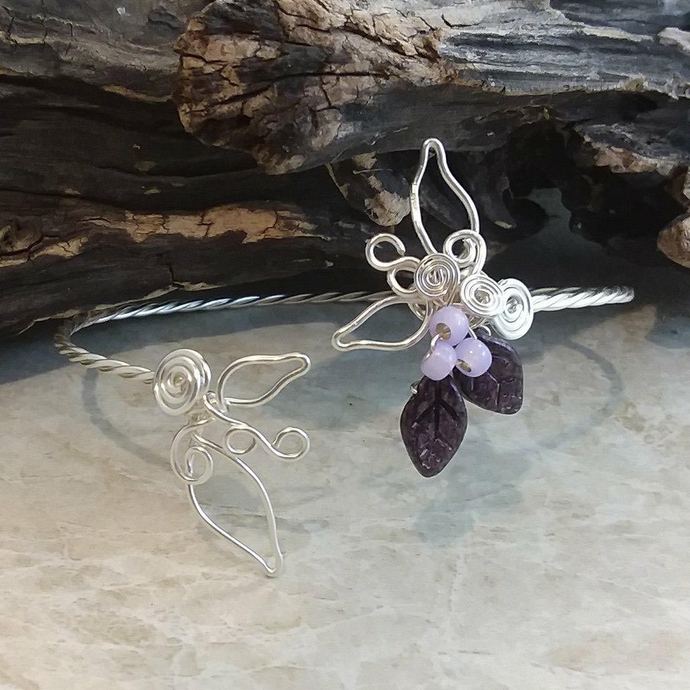 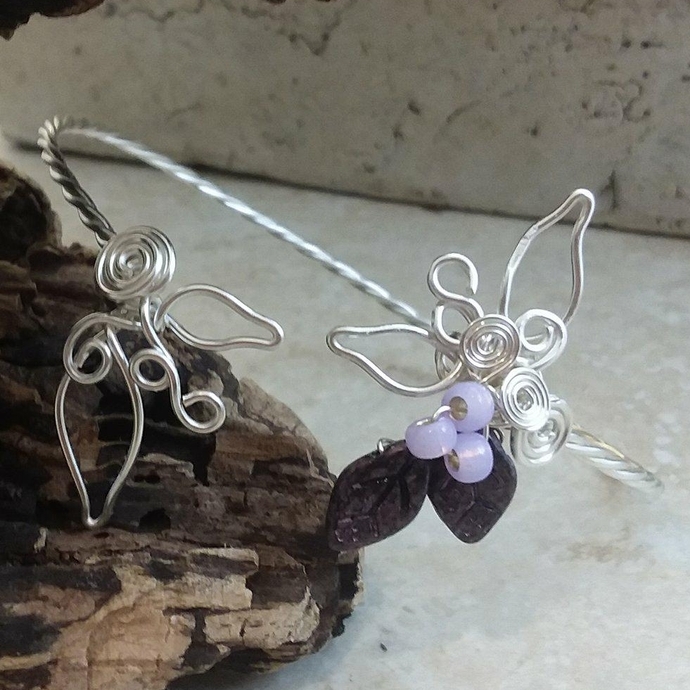 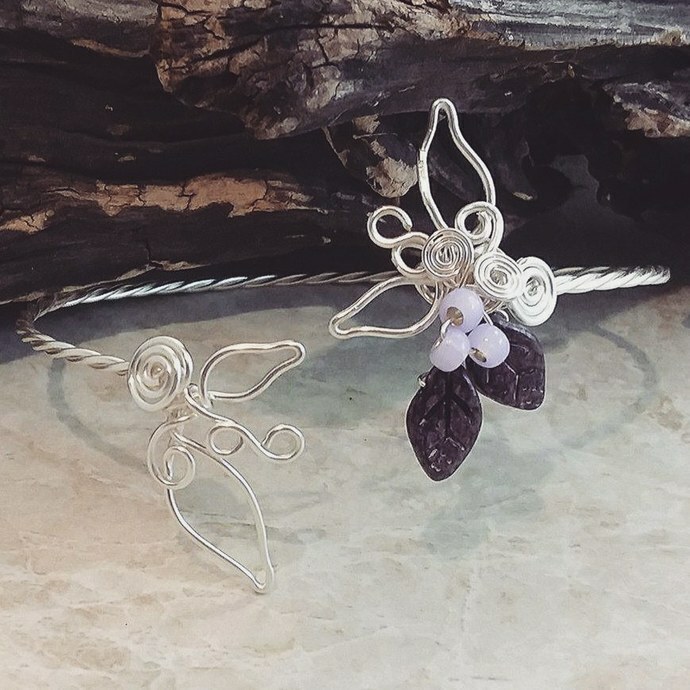 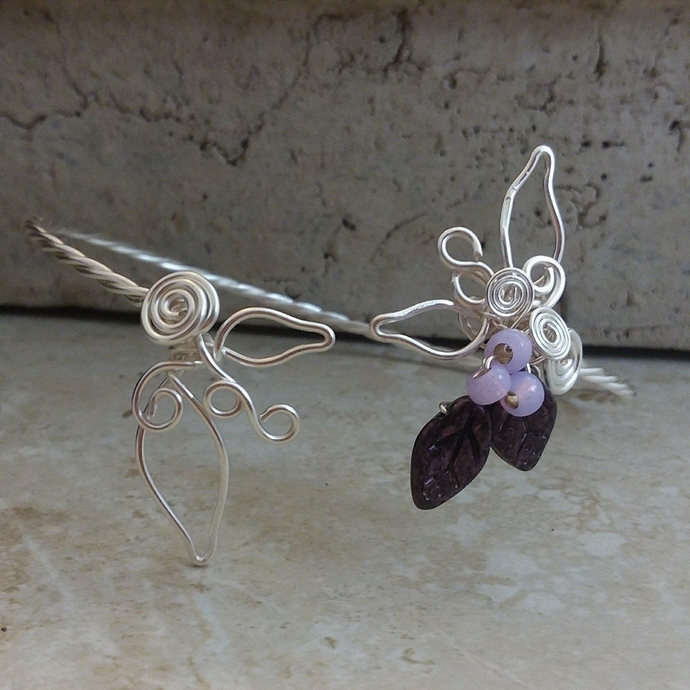 Adorned with Czech glass leaf and "berry" beads, this simple sculpted wire cuff bracelet comes in your choice of a variety of bead and wire colors. 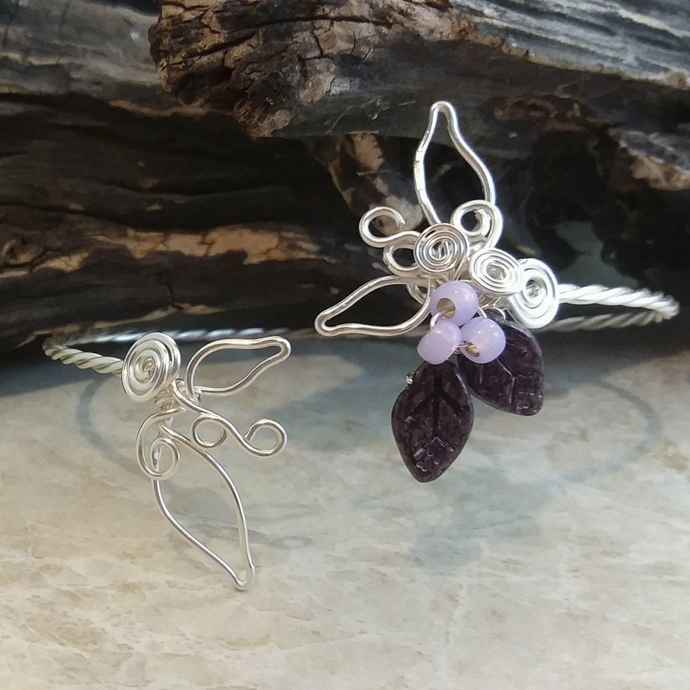 This is an adjustable cuff, choose your basic size, but you can mold it a bit once it is on to fit more precisely wherever you decide to wear it. 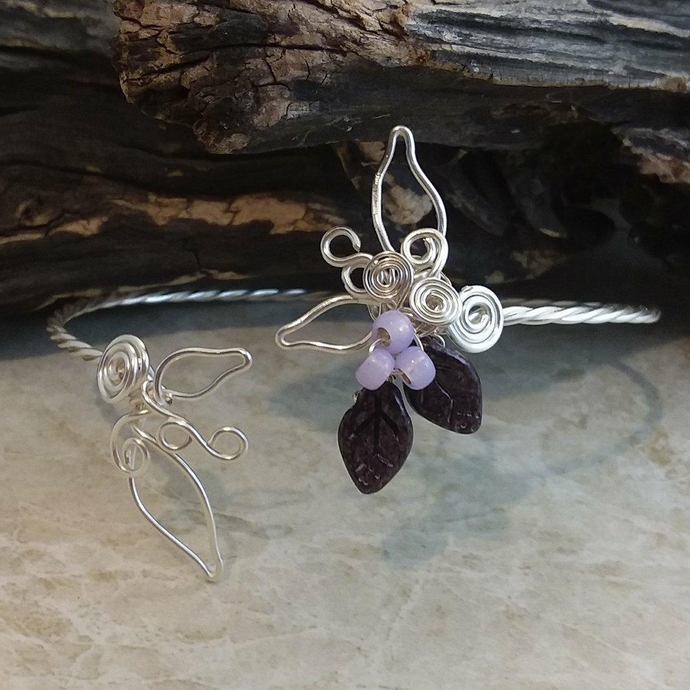 NOTE: Berry bead colors will vary, I choose them to coordinate based on your leaf and wire colors, if you are set on a specific berry color you may leave "buyers note" when you check out.